Home to one of the finest and most modern fleets in the world, San Diego is a fisherman's dream come true with clear blue ocean waters rich with marine life just a few miles away. Whether you want to take a half-day jaunt out into the bay, a week-long excursion into waters near Mexico, or a fun whale watching cruise, you can find the ideal trip for you led by a professional team with decades of experience on the California seas. Take an unforgettable 3-hour tour along the coast of San Diego to witness spectacular whales making their way to Baja California. The annual migration takes place from December to March each year and offers the rare chance to see the majestic gray whale up close on the open seas. From afternoon jaunts out to sea to three-week excursions and everything in between, you can easily find the right sport fishing trip for you. You can reserve a spot on an open boat or book your charter for a private fishing trip that you will never forget. What fish are currently in season? What boats can be chartered? 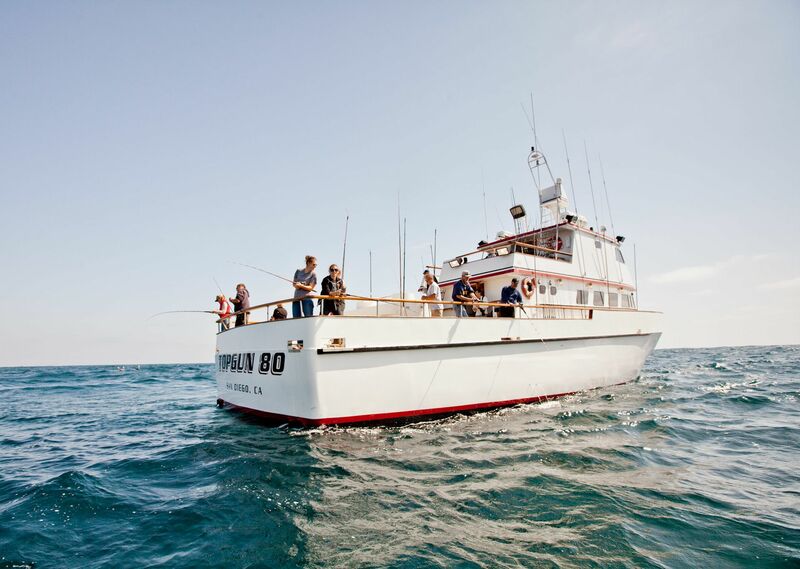 Fishing enthusiasts can choose from ten modern boats to plan a fishing adventure. Decked out with all the equipment you need and high-tech features, you will be in good hands with our professional teams that have years of experience on the San Diego Bay. 1/2, 3/4, and full day trips are available. Departure times may vary. Morning, afternoon, and twilight times are available.